The queues at the Road Safety Authority’s testing centres in Doughcloyne Industrial Estate, Ballincollig, Mallow and Skibbereen are ten, ten, nine and eight weeks respectively. We space the twelve EDT lessons two weeks apart to give you time to practice and will confirm when it is time to book your test. Although it is your responsibility to learn the rules of the road and the meanings of the road signs, we will happily answer any questions and point out applications during training sessions. It is never too early to begin with this. We recommend you start as soon as possible. Calm confidence when driving is the key to happy motoring. When you begin your training you may feel nervous and disconnected. After a few hours behind the wheel the controls start falling naturally to hand. At Cumbred we do not believe in rushing things, or putting you into situations you are not ready for. You will find detailed information elsewhere on this site. Suffice to say that we are in good standing with the Road Safety Authority, fully competent and proud of what we do. We have an average pass rate of 97.4% measured over the past 5 years. 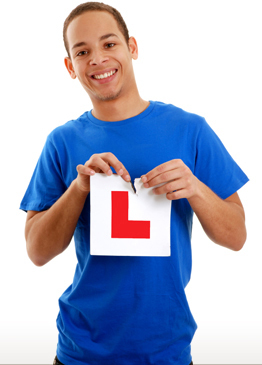 You should get your driver’s licence too if you follow our advice.